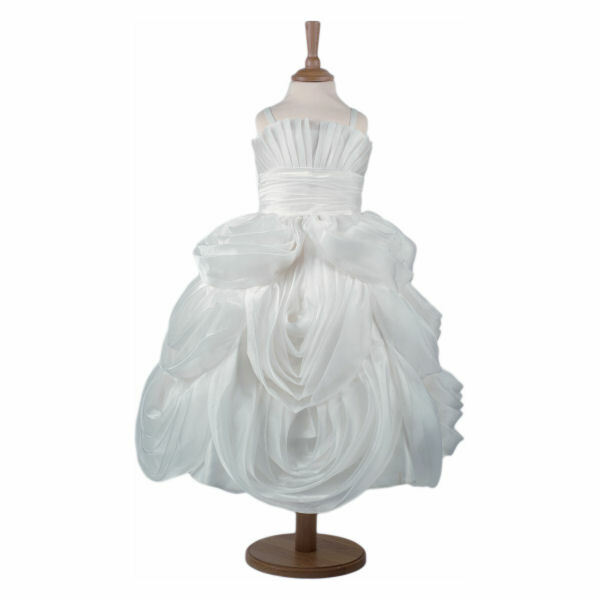 A white princess dress with soft curved folds of organza falling over the full skirt. Pretty pleats on the bodice. Dress has a back zip. None specified at present for Limited Edition Frosted Fondant Childrens Costume by Travis Dress Up By Design.